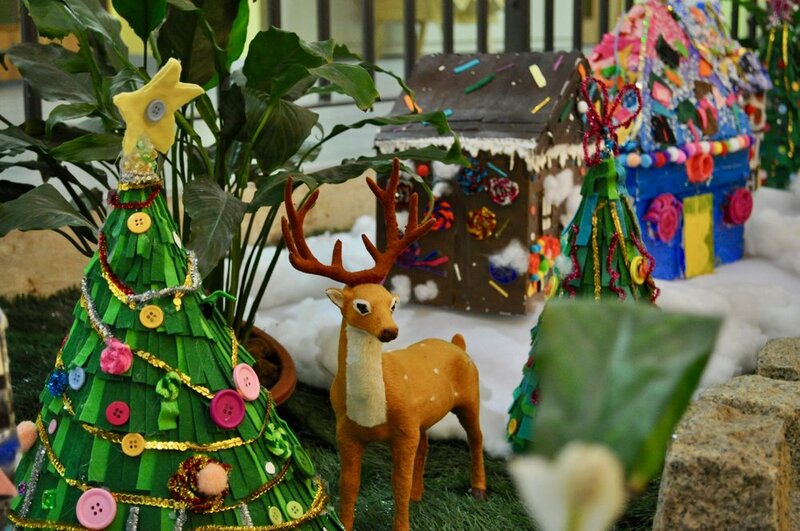 The holidays have arrived at TH School with a wintry exhibition of sculptures made by Grade 6 art students. “Home Sweet Home” is a village of miniature houses coated in “confectionery” made from a variety of materials. The whimsical candy houses and accompanying pine trees encircle our towering Chùa Bộc Christmas tree, trimmed in gold and rosy hues and flanked by a bounty of gifts. We welcome you to enjoy the festive ambience of this exhibition and hope it brings you and yours happiness and cheer this season. “Home Sweet Home” is on show through Friday, 14 December.